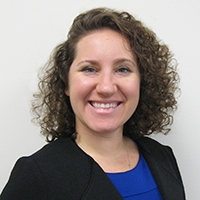 TFMoran announces that Hannah Giovannucci, PE has joined the Portsmouth division as a Project Manager. Ms. Giovannucci is a licensed professional engineer in the states of New Hampshire and Massachusetts with over 6 years of engineering and management experience. Her experience includes the design and permitting of mixed-use, industrial, commercial, residential and redevelopment projects. Ms. Giovannucci has a Bachelor of Science degree in Civil Engineering from the University of Massachusetts Amherst. She serves on the American Council of Engineering Companies Emerging Leaders Committee and volunteers for Habitat for Humanity. Ms. Giovannucci’s prior work experience also includes transportation and traffic engineering in Boston, Massachusetts.